My thoughts on how to be a writer? Start writing. Today, tomorrow, and the next day… Don’t stop, not ever. These are my thoughts on how to be a writer, and what works for me might work for you. The goal of daily blogging was my key to setting up the habit. The experts say it takes 30 days to set a habit, and 90 days to break a bad habit, so you see, it is much easier to set up a new habit. 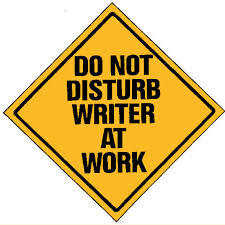 Especially if you really want to be writer and a published author. Get your diary or calendar and diarise some time, every single day, or at least 5 days per week, for writing. It probably works better to set up the habit of writing if you can make it the same time every day. Then all you have to do is read your diary daily (! ), follow the calendar entry, get out your pc or a pen and paper, and start writing. Write about anything and everything. At this stage it is not being read by others, nor scrutinised by others, although do be careful of your own scrutiny as we are our own worst critics. Try the NaNoWriMo approach, just write, no editing, and definitely no poring over the words wondering if they are ok.
Don’t make excuses. Do use the “Too busy” basket and “No” basket when considering opportunities to break from your task of writing. One day, you will find your words become part of more than your own soul, words you might even want to share with others, either through a blog, or bound together in a book. You might start with a self published e-Book, or you might start sending manuscripts to publishers far and wide. One local ‘wanna be published’ writer I know had sent a manuscript to publishers, one per year for 20 years, and on the 20th year when she was about to give up, she was published, and is now on her fourth published book. Sit in a café or the mall, watch people, then write about what you see. Think, and then write about how you imagine the interactions between people, not who is right or wrong, but what each person is saying, and more importantly, thinking. Of course you can’t read their mind, but you can imagine. For me, writing is about feeling and imagining; about how others feel and react, and about how you yourself react, think and feel. I’m not so much the fiction story teller, but love what is called ‘Ethnography, auto ethnography and creative non fiction’, real stories about real people. Explore your own emotions, and consider those of others. Don’t take sides or think about who is right. Just listen and learn, and explore. If you can think thoughts, you can write about them. You don’t have to be perfect every time, that is what editors are for, and dictionaries and the Thesaurus. Reading aloud is good too, I find it helps you find your ‘mistakes, as well as hearing what it sounds like to others who will read it. I recently suggested to a friend who has lung cancer that he employ someone to help him write about his life and his incredible business of over 30 years. He first commented that he didn’t want to be seen as ‘egotistical’, but as we discussed the idea further, he could see the virtue of writing and publishing his story, if only for his wife, children and grandchildren. I really hope he does, as believe it will also be very positive therapy for him. Be brave, think about how much pleasure you get from reading, and this might help you accept that one day you might give that same pleasure to someone else. If you want to be a writer, you have to write. It is that simple. Ha, great idea, I’ll do that too! and what is your twitter name? I love this, you have inspired me for years to write and that it what I now do, when I can and wherever I am…. Love today’s blog. I have always enjoyed writing, but am the first to admit it does take discipline. However the rewards can be enormous – and I am not talking about monetary rewards as, certainly in my case they do not exist. Writing is a powerful tool and can have benefits on many levels. There is a biography service run by Eastern Palliatve Care in Melbourne which provides people the opportunity to tell their story. Benefits from telling a life story are many – for some it’s the importance of passing down a personal journey for future generations, it can be used as a teaching tool, to make sense of a life lived, maybe to make amends or to explain actions and choices that were made in the past. Up until now this program has not been offered to people who have a diagnosis of dementia, though I know this is being considered. I have expressed my interest in being involved if this does come about, so fingers crossed. I assume, hope, that this program is being offered in other states also. Such wisdom Wendy… thank you for sharing it.